An aging concrete patio with extensive cracks, deteriorating brick wall, and settling concrete stairs finally failed after 30 years. A structural engineer was hired to design a replacement wall and steps using segmental block. 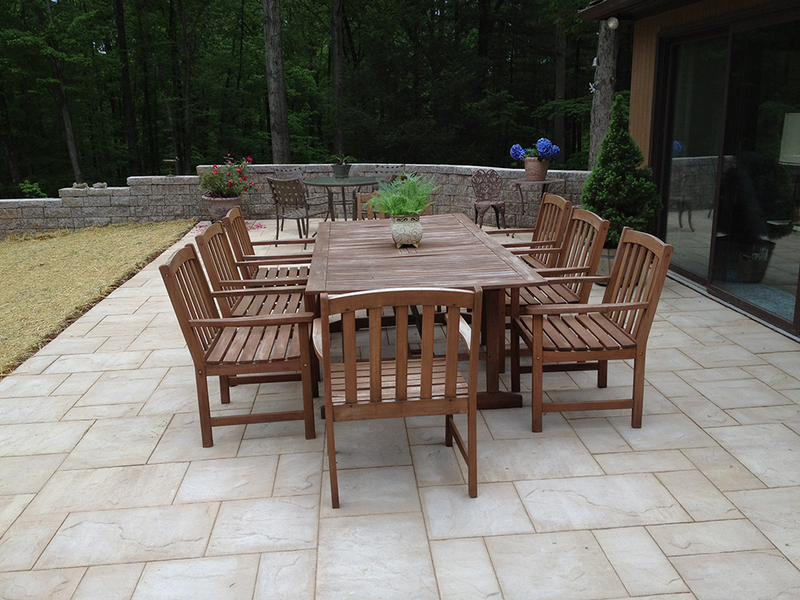 The failing concrete patio was removed and a gravel base was prepared for Cambridge slab pavers.